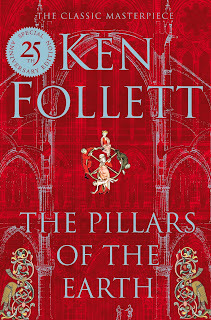 Me and my buddy reader have finished our latest read, which was The Pillars Of The Earth by Ken Follett. This time it was F's turn to choose and she managed to pick another book that I hadn't heard of even though it is incredibly popular, popular enough to have a TV show that when I checked it out on IMDB it was full of famous people! When I read the synopsis I didn't know what to expect as it sounded very serious and the size of the book was intimidating, but F's choices so far have been a lot better than mine so I was looking forward to checking it out. The writing is absolutely brilliant in Pillars, it is incredibly well written and flows so well. Though this is well over 1000 pages long, it really felt like it was less than half the length due to the ease of the reading. 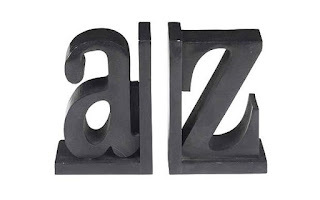 We actually found it so easy and engrossing that after a few days we upped our daily reading target from 20 pages to 40. The characters throughout all really stand out in their own right, though I did have a couple of favourites. Tom the builder was a good man that had his faults but overall tried to do good. Lady Aliena is a character who really grows with time and becomes a really strong woman who overcomes many things to triumph in the end. Talking about this book with F after finishing it, we discussed the fact that there are a lot of difficult subject matters covered and some that are worse than in Love In The Time Of Cholera and yet I didn't enjoy that and found it uncomfortable and I loved Pillars, The difference I found is that in Pillars, bad actions had consequences and aftermaths whereas in Cholera the bad things seem to be romanticised and shrugged off as the doings of an old man in love. The story is well thought out and is extremely engaging. Even after we had upped our page target, I still found it hard to put the book down and wanted to see what would happen next. I particularly hate William Hamleigh, even more than Walereon Bigod. Though Walereon was slimy and devious, he didn't have the viciousness and pure evil that was in William. The only character I can't say whether I fully liked or not was Prior Philip, One minute I thought he was great and then he did something that I just couldn't believe and I'd be disappointed in him. He was a very complex character in many ways which just shows how well developed his character is. Overall an excellent book which surprised me no end. Who would have thought trying to get a cathedral built would be so interesting. We started this book on the 17th of April 2016 and finished it on the 18th of May 2016. I first saw this post over at Shelley Wilson and I thought this would be a lot of fun to do. (I have tried to find the original post but haven't yet, I will post a link when I find it). It's basically a get to know you through your a - z of books. Hopefully you think it's as fun as I did and if you fancy doing this too, please tag me or link me to your answers so I can check them out. That will be either Terry Pratchett or Richard Laymon. I adore Terry Pratchett's work and Richard Laymon was my husband's favourite author when we first met so I read through all the books he owned. I think this has to be Half Wild by Sally Green (I haven't read Half Lost yet as I know it will give me all the feels). I'm currently reading a few books. Half Truths: A Half Bad Story by Sally Green, City Of Glass by Cassandra Clare, The Warren Commission Report: The Official Report On The Assassination Of President John F. Kennedy by the President's Commission and I'm buddy reading the Iliad by Homer with two lovely ladies. You can't beat a good cup of tea. It's pretty much the only thing I drink except water. Fun bonus fact - I only drink coffee on train stations. 100% Physical books. I did finally cave and get a Kindle towards the end of last year, but though it is useful, it will never feel quite the same as having a real book in my hands and being able to turn pages and use a bookmark. Jace Wayland, he's a complete jerk but good looking and sadly I know on more than one occasion I chose the "bad boy" over the far better choice. I am definitely glad that I gave Saga a chance, I was put off by the hype and I really didn't think it would be for me at all, but I absolutely love it. 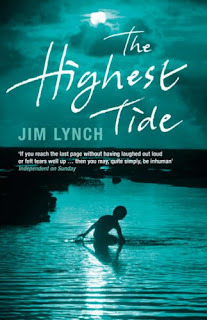 The Highest Tide by Jim Lynch. I read this book years ago and I still think about it now, I definitely think I'll need to re read it at some point very soon. I can't really think of something too specific, but I guess discovering the online book world such as booktube, book blogging, Goodreads etc. I found people to share my love of books with. The last three books I finished were The Pillars Of The Earth by Ken Follett, Anything For Her by Jack Jordan and City Of Ashes by Cassandra Clare. 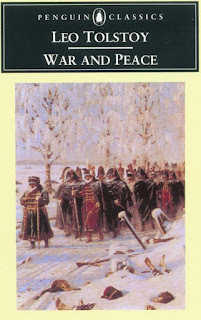 So far it's War and Peace by Leo Tolstoy at 1444 pages. When I finished the Divergent series (Including Four) I didn't know what to do with myself for days as I'd binge read the books and I'd never done that before. At the moment we have seven bookcases, but we are in urgent need of more as we have books piling up waiting to be shelved. 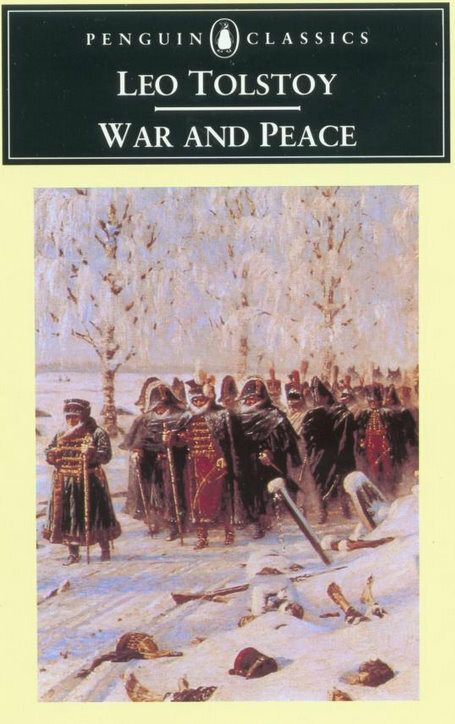 There's very few books that I have re read because I always want to read something new, but one of the ones I have re read is Crime and Punishment by Fyodor Dostoyevsky. Either curled up on the sofa or tucked up in bed. I really regret that I haven't got a record of all the books I have read in my life from being a child. Even if I'd started a book journal as a teenager or something like that; I would be better, but I only really thought about it when I discovered Goodreads. I have already set up Goodreads accounts for both Nerdlings so that they don't have that regret (If it's not something they want when they're old enough to choose that would be absolutely fine by me, but at least this gives them the option). Series you started and need to finish! The Throne of Glass Series, The Mortal Instruments, The Lunar Chronicles...it goes on, I need to work on that. Crime and Punishment by Fyodor Dostoyevsky, The Talisman by Stephen King and Peter Straub and The Voyage Of The Dawn Treader by C.S. Lewis. The Half Bad trilogy by Sally Green! The follow up to the Six Of Crows, Crooked Kingdom by Leigh Bardugo. I have no words for how excited I am! I cannot give up on a book, I really need to learn how to stop when I'm not enjoying a book as there are just so many books I want to read. The Animals Of Farthing Wood by Colin Dann (I picked the bookshelf closest to me so I didn't have to get up). My most recent purchase was an Amazon order and I got The 10th Anniversary Life and Death edition of Twilight by Stephanie Meyer and 6 of the penguin little black books, The Communist Manifesto, Sinbad The Sailor, The Figure In The Carpet, The Old Man Of The Moon, The Terrors Of The Night and Goblin Market. It was Anything For Her by Jack Jordan (watch out for a review coming soon as part of the blog tour), I just needed to know what happened. So there you have all my answers, what do you think? Have you read any of the books I mentioned? I was lucky enough to receive an e-book copy of Demon Bound direct from the author David Parkland in exchange for an honest review. The story follows Marris and Wade, two men trying to make their way in the world after returning from the war. They start off innocently enough as carters, moving good backwards and forwards until a huge fire at the warehouse of one of their employers. They then set off to make their fortune any way that they can and that's when things start to go wrong...and weird for them. We also follow Orville Long, a demon hunter who is going about his business before being drawn into the main story. The characters and world are both wonderfully written and are very reminiscent of Terry Pratchett and his Discworld series. There is a serious story line with plenty of humour thrown in to keep it light. I actually can't say enough about the writing, I genuinely enjoyed the way this book was written and the language used was wonderful. I am going to have to be very careful about talking about the story as I definitely do not want to spoil anything for anyone as watching everything unravel as you read it yourself is so rewarding and extremely surprising. I will say that it is incredibly clever and will shock you with its genius as you find out more and more. I can however discuss the characters and I think my absolute favourite character for most of the book was Orville Long, his story is so interesting and he comes across as such a badass, I absolutely love the opening scene. Also I can't mention Orville without mentioning Skiffarg either, their relationship is just brilliant. As we learn more about Marris though, he became a firm favourite as he becomes more and more interesting as things unfold in the story, The only character who I wasn't overly keen on was Wade, there is nothing wrong with him as he is well developed and he certainly has the gift of the gab, he is just not my kind of character, though he works well against the seriousness and sensibility of Marris. I do also want to mention the cover, this definitely drew me to it and I've discovered since that the author actually painted it himself which is just awesome! 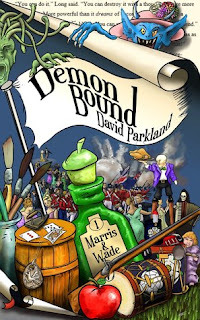 Overall I absolutely loved Demon Bound and I already can't wait for the next book in the series as I really need to find out what happens next. I started reading this on the 8th of May 2016 and I finished it on the 15th of May 2016. I was incredibly lucky that Mark C. King the author of Whispers of Bedlam Asylum approached me to review his second book as I had thoroughly enjoyed his first book Sigmund Shaw: A Steampunk Adventure (check out my review here). 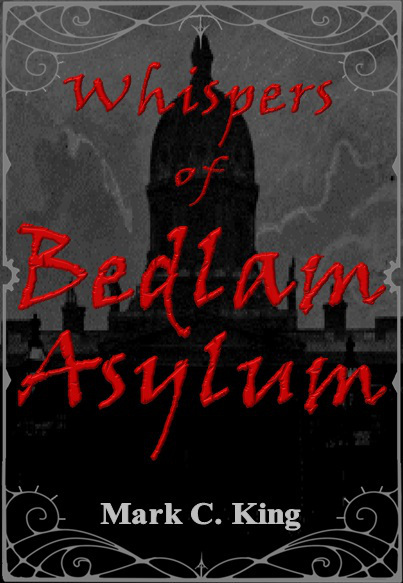 In Whispers we rejoin Sigmund Shaw and we follow him on his journey to pay back a deal he made in the previous book. The deal leads Sigmund into trouble as usual and he needs the support of his good friend Chief-Inspector Holmes, a new badass journalist called Charlotte and an Egyptologist called Basil. I really like the introduction of Charlotte and I really hope that we see more of her going forward. She has a very interesting back story and it is intertwined with Sigmund and his actions in A Steampunk Adventure. I'm also hoping we see more of Basil at some point in the future as he seemed to have a hint of mischief around him and he was a good sidekick to Sigmund. The characters are so well developed and so well rounded. I genuinely can't think of a character that I don't like. Sigmund is his usual wonderful self, Holmes is grumpy and thoughtful and Sarah is so strong and bright. You don't often find a book where the character development and world building is on an even level and both are done just as well as the other, but in Whispers this is exactly what you get. The author really got the atmosphere correct throughout the book and all the scenes in the asylum were so incredibly creepy and intense. I was reading the book at night for the most part and I had to ensure I finished reading on a section that wasn't too deep into what was happening so that I could get some sleep. I'm trying not to go into the actual story too much as I would hate to spoil on anything, but there is one bone I'd like to pick with Mark C. King! The book is set in London, England and he calls football soccer! You can't do this in a book set in England, it really stood out to me as everything else fits so nicely. But that's just me, other people may not notice. Genuinely I think I liked Whispers Of Bedlam Asylum even more than I liked A Steampunk Adventure and I gave that 5 stars on Goodreads. Definitely go out and read these books, you will not regret it. I started this book on the 27th of April 2016 and I finished it on the 6th of May 2016. 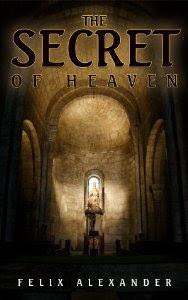 I was lucky enough to receive an e-book copy of The Secret of Heaven direct from the author Felix Alexander in exchange for an honest review. The story follows Professor Aiden Leonardo and him trying to deal with the aftermath of his best friend's death and trying to work out why he died. I don't want to say to much about the actual story because there are lots of twists and turns and reveals and I really don't want to spoil anything for anyone. 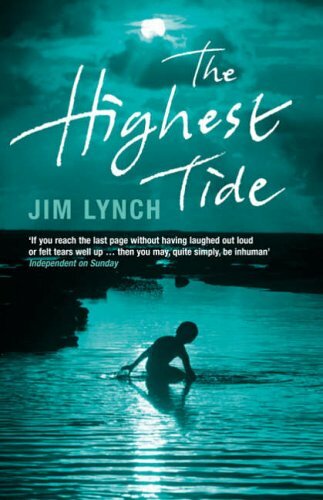 I do want to say how well written the book is and how intelligent the story is. The writing flows beautifully and though a lot of language is used that you wouldn't come across often in your day to day life, it works within the confines of the story. The Secret of Heaven is definitely more of a plot driven book and some of the characters do become a little muddled as they have no defining personality. Hopefully going forward in the series, there will be some more character development as there are some hints at really interesting back stories that I would certainly like to learn about. There is plenty of action in the mean time to keep you going and the story is very fast paced so you don't have too much time to miss the characters. My only real problem with the book was that I genuinely think I've missed the significance of the big reveal and outcome. I just don't see how it could really affect anything, but that may very well be a problem with me rather than the book. I think I got lost in the understanding of the meaning of a lot of the bible quotes and what they would mean in context with everything else going on. This doesn't change the fact that I enjoyed reading the book, it just means that I probably missed out on the shocked feeling you should have when things are all put together. Overall I did enjoy the book and it was certainly a fast and easy read, so I would definitely recommend this to people. In particular people who are fans of Dan Brown (there's even mention of a Professor Langdon) or conspiracy theories and secret societies. It's been another crazy busy month at Nerdish HQ this month and we've had a couple of weeks in which we all got sick which was really horrible. This month I think is my smallest round up of books so far this year, but I have a lot of exciting things coming up in the next couple of months, with more book tours and more author interviews. I made more of a dent into reading our graphic novels and trade paper backs and I also finished reading a manga series that I've been reading over the past few months. 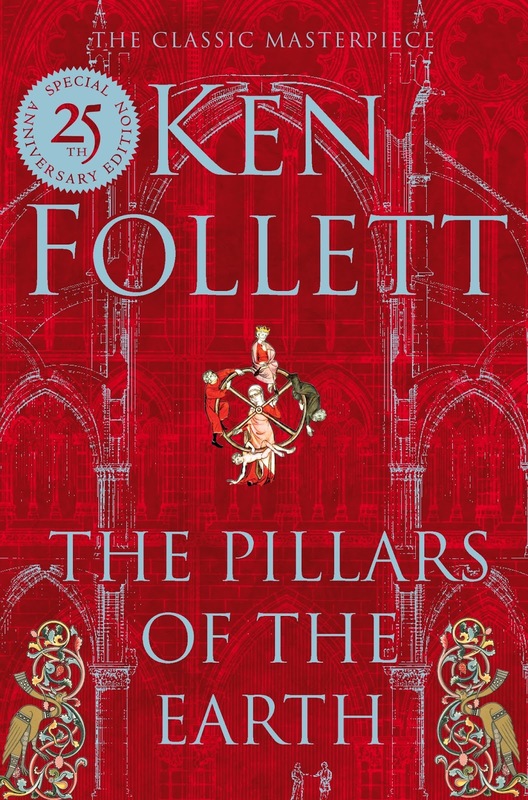 Myself and my buddy reader finished another book together and we've moved onto The Pillars Of The Earth by Ken Follett and I have to say I'm absolutely loving it so far, in fact we'e enjoying it so much, we've decided to read 40 pages a day instead of 20. I'm hoping to start catching up on reading my single issues (both hard copy and e-copy) of comics in May, I just need to figure out the best way to keep track of what I've read. I think I'll probably start a separate book/comic journal to go with my main book journal. I would love a version of Goodreads but just for comics!